All 3 phones forgo the 3.5mm jack, and use a USB Type-C port instead. The Le 2 and Le 2 Pro are powered by deca-core MediaTek SoCs. The Le Max 2 is powered by the quad-core Qualcomm Snapdragon 820 SoC. China-based tech firm LeEco on Wednesday took the wraps off its three new next-generation smartphones at a launch event in China. Called the Le Max 2, Le 2, and Le 2 Pro, the smartphones are the successors to the Le Max, Le 1, and Le 1 Pro smartphones launched last year. The company says these three smartphones are the world's first to forgo a typical 3.5mm headphone jack and instead feature USB Type-C audio connector. The metal-clad handsets unveiled in an event in Beijing run Android 6.0 Marshmallow out-of-the-box with Emotion UI 5.6.01 skin on top. The three smartphones will also be compatible with the VR headset the company introduced at the same event, set to launch in China in May. The three smartphones are now available to pre-order from the company's China site. The Le Max 2 has been priced at CNY 2099 (roughly Rs. 21,500), CNY 2,299 (roughly Rs. 23,500), and CNY 2,499 (roughly Rs. 25,600), for the 4GB RAM+32GB storage, 4GB RAM+64GB storage, and 6GB RAM+64GB storage variants respectively. The Le 2 on the other hand, has been priced at CNY 1,099 (roughly Rs. 11,200). Finally, the Le 2 Pro has been priced at CNY 1,399 (roughly Rs. 14,300) for the Helio X20 variant, and CNY 1,499 (roughly Rs. 15,300) for the Helio X25 variant. The LeEco Le Max 2 features a 5.7-inch QHD (1440x2560 pixels) resolution bezel-less display with a pixel density of 515ppi. Under-the-hood it packs the flagship 64-bit quad-core Qualcomm Snapdragon 820 processor, clubbed with a massive 6GB of LPDDR4 RAM (in its top model) and Adreno 530 GPU. The smartphone sports a 21-megapixel Sony sensor rear camera along with an 8-megapixel front-facing camera. Its 3100mAh battery also supports Qualcomm Quick Charging 3.0 technology. On the connectivity front, the Le Max 2 supports 4G LTE, Wi-Fi, Bluetooth, GPS, A-GPS, and Micro-USB Type-C connectivity. 64GB of inbuilt storage (in its top model) is also housed inside the handset. As compared to the previously launched Le Max, the Le Max 2 excels when it comes to RAM, front-facing camera pixel count, and the processor. However, the display size and the battery capacity have seen some compromises. 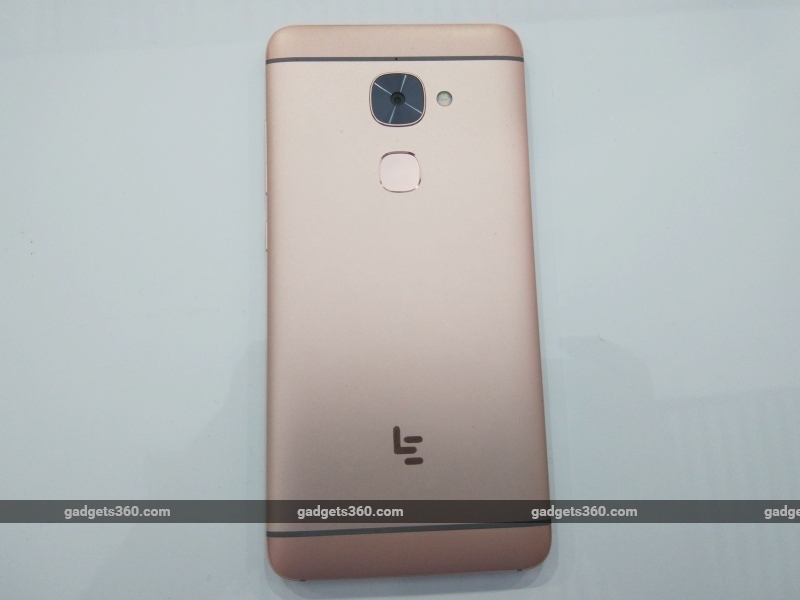 The LeEco Le 2 houses a smaller 5.5-inch full-HD (1080x1920 pixels) resolution bezel-less display with a pixel density of 403ppi. It is powered by the deca-core MediaTek Helio X20 processor clocked at 2.3GHz, clubbed with 3GB of RAM and Mali GPU. The smartphone features a 16-megapixel rear camera along with an 8-megapixel front-facing camera, and also houses 32GB of inbuilt storage. The Le 2 is powered by a 3000mAh battery and supports the same connectivity options as the Le Max 2. The Le 2 edges over the Le 1 in terms of processor, camera, inbuilt storage, and battery. Lastly, the LeEco Le 2 Pro features almost the same display as the Le 2 (except it bears a visible bezel), same front-facing camera pixel count, same inbuilt storage, and the same connectivity options. However, since it's the 'Pro' version, the handset sports a 21-megapixel rear camera, choice of a deca-core MediaTek Helio X20 SoC or a deca-core MediaTek Helio X25 processor clocked at 2.5GHz, 4GB of RAM, and a 3000mAh battery with its own fast charging technology. The smartphone trumps its predecessor in the OS version, camera, and processor departments. The company at the event also showcased its autonomous car prototype, LeSee. The company said the LeSee concept car encompasses a unique "Internet" design, with a large and flamboyant LED screen. In a press statement, the company said, "This concept car mainly takes on the idea of 'inter-connection"; not only does it have fully-automatic driving functions, it can also learn on its own, with facial recognition, emotion recognition, system recognition and path recognition." 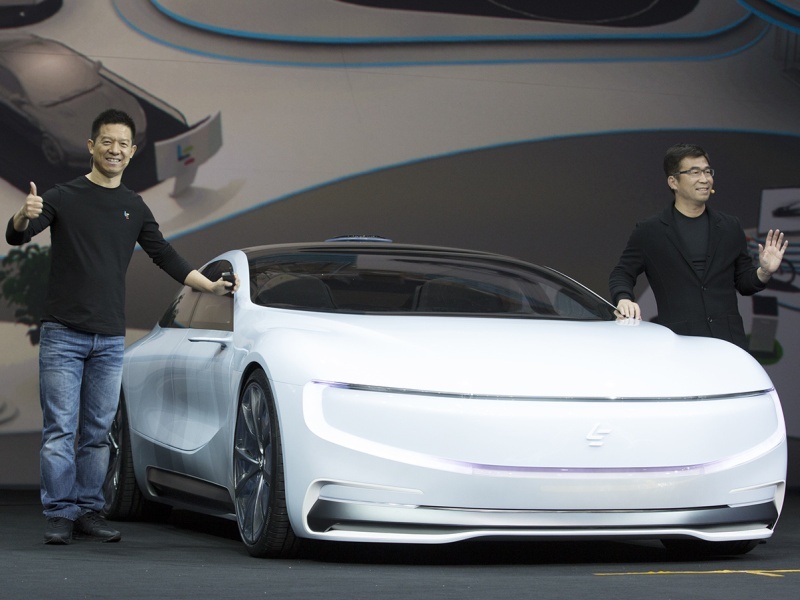 LeEco's founder Jia Yueting with Le Supercar's co-founder, the global deputy president Ding Lei, revealed the first model of the concept car. The global rollout for the LeSee is slated for 2018. In response to a question about how much it would cost, Lei said, "Before we launch the car we may not release the price before that." When asked if the company would follow the same business model for the Le See all-electric smart car as it does with its other hardware, i.e, subsidise cost, Jia said, "There's a shared philosophy between our verticals. One day the car will be free." Lei added, "[The LeSee is] a D-class car. That doesn't mean the D-class is our target market." LeEco also launched its fourth generation Super TVs - Super 4 X50 Pro/Super 4 X50/Super 4 X50 CSL. Disclosure: LeEco paid for the flights and accommodation for Gadgets 360 to attend its Beijing launch event.